Accommodation partners chosen for value for money, location, service. 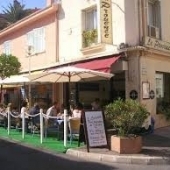 17 Avenue de la Gare, 06220 Golfe Juan +33 (0)4 97 21 85 30, leprovencehotel@gmail.com, Hotel Le Provence Tripadvisor . Website. This simple, value for money and perfectly located Hotel is less than 500m from Golfe Juan- Vallauris train station and an easy five minute walk from the dive centre. Run by a French/British couple. 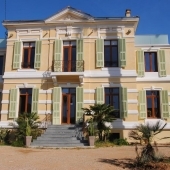 Impasse des Hameaux Beau Soleil, 06220 Golfe Juan +33(0)4 93 63 46 06, edenparadise@residhotel.com. Website. The Eden Paradise is conveniently nestled in a “cul de sac”, in a calm and relaxing environment. Located 500m from the beach, close to shops, the residence offers spacious studios with pleasant south-facing balconies, an outdoor pool, a tennis court and free parking. Studios for 2 or 4 or 2 rooms flat for 6 people. it will take you about 15-20 minutes walk to get to the dive center. 336 Montée des Peruades, 06220 Golfe-Juan, +33 (0)4 93 63 97 78, WebSite. This Chambre d’Hote is beautifully done but guests will need to be travelling with a car as it is a little further out of town and up a rather steep hill. 125 Avenue de la Liberte, 06220. Golfe Juan, +33 (0)4 93 74 22 51, TripAdvisor. 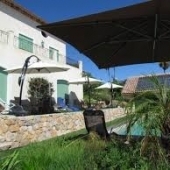 A number of large rooms in a beautiful traditional converted Villa in peaceful grounds off the main road in Golfe Juan. Within walking distance of the dive centre.